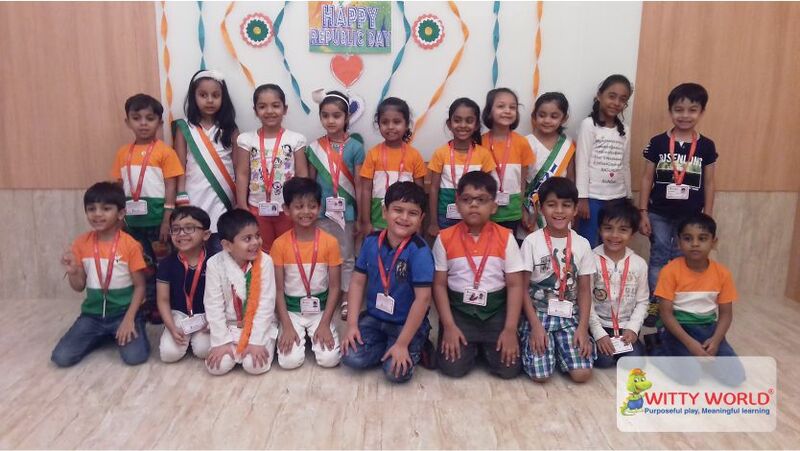 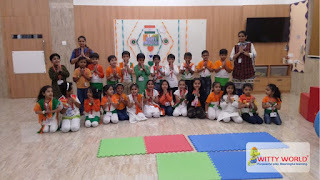 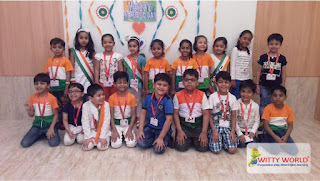 At Witty World children celebrated Republic day on Thursday, 25 January 2018. 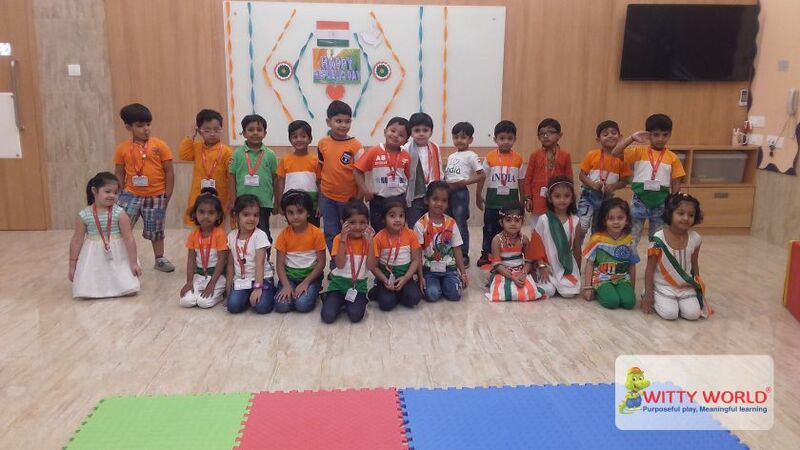 During the Republic Day celebrations, children of Play Group, Junior. 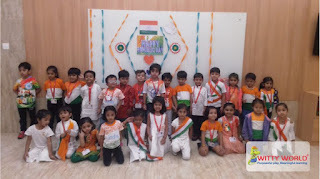 KG and Senior. 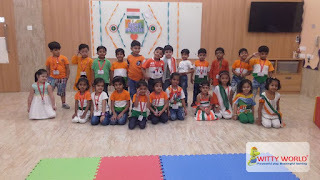 KG wore dresses with colours from the tri-colour of our National flag and children of Nursery were dressed like our Freedom Fighters. 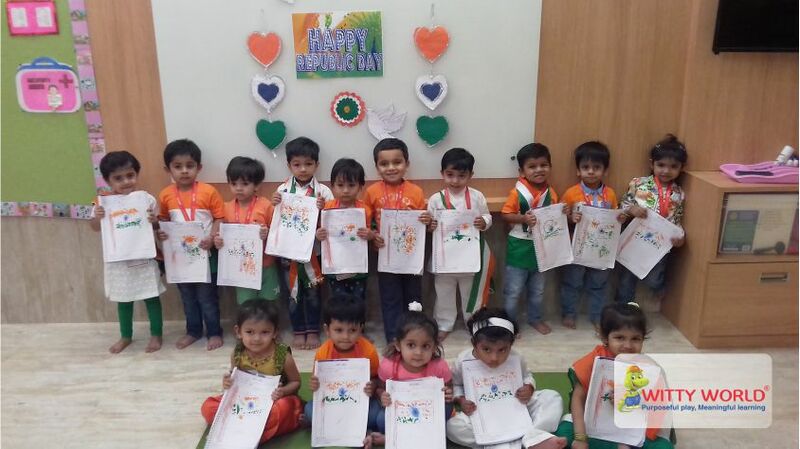 Teacher explained the importance of Republic Day to the children. 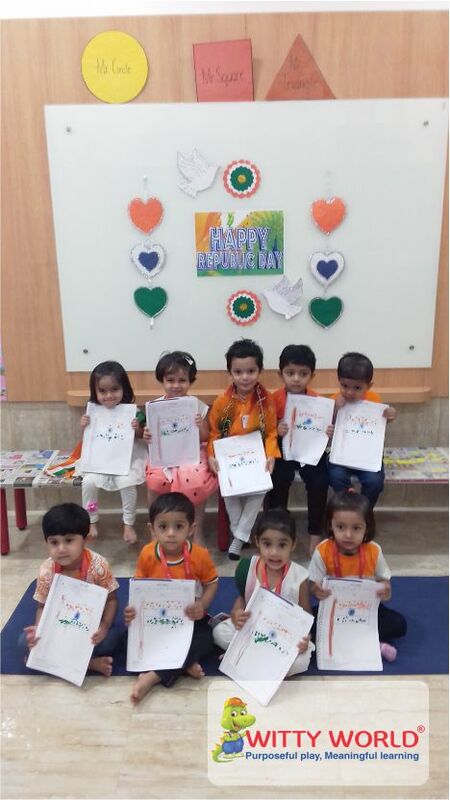 Children also received information about the national symbols. 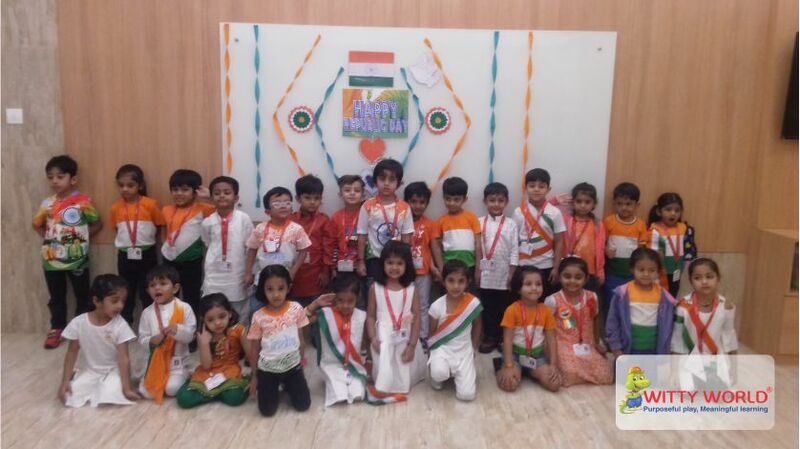 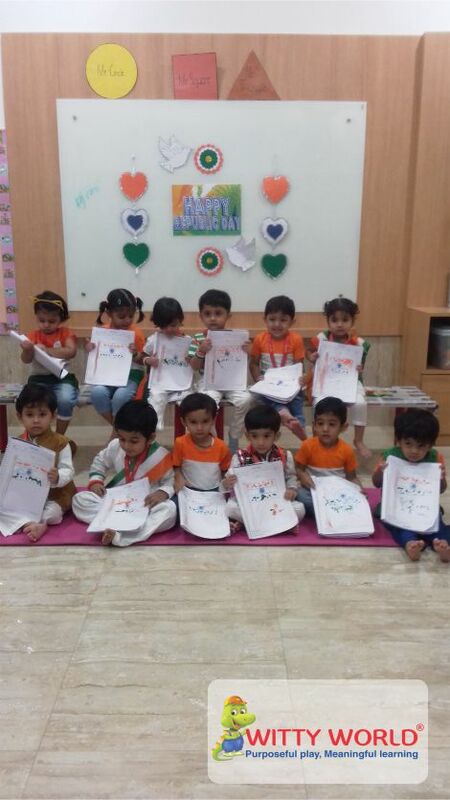 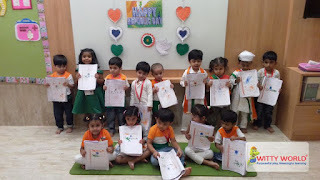 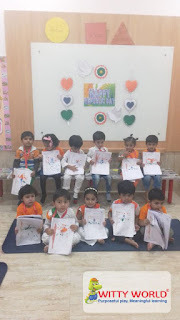 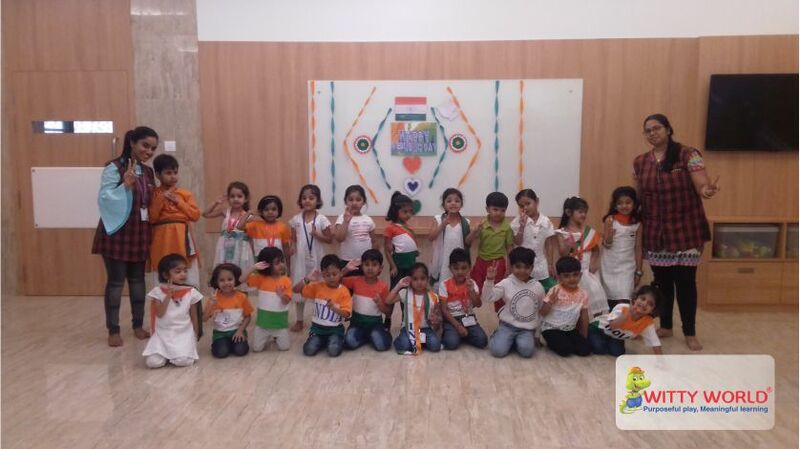 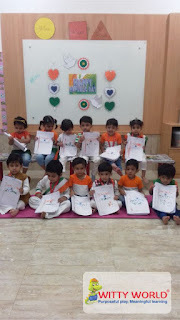 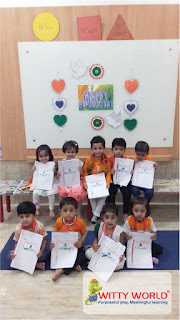 The Republic Day celebration included activity sessions wherein, children coloured the National flag, Fancy Dress on Freedom Fighter was organized for the Nursery section they spoke about their favorite Freedom Fighter. 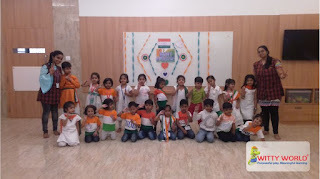 Later they had great fun dancing to the tunes of the patriotic songs. It was indeed a patriotic celebration for the little ones.